Absolutely amazing energy! There is a lot going on with this big boy who weighs in at 6 ounces. 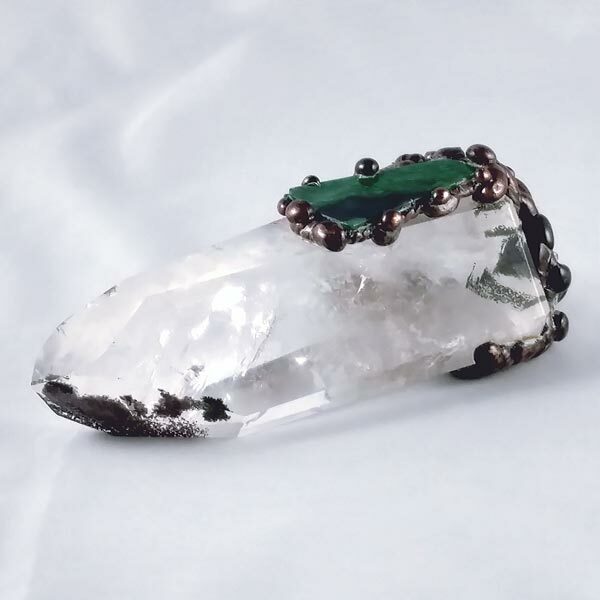 First, it can be considered to be a Faden AND Dendritic (meaning chlorite included) Quartz. 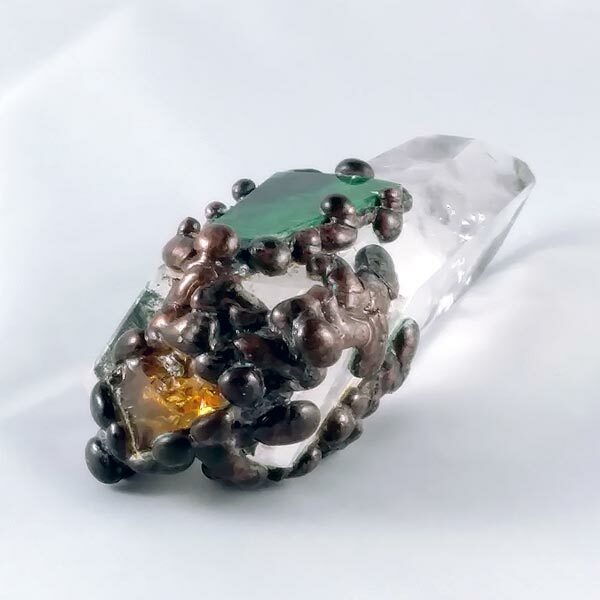 Then I've added accent stones of Azurite in Malachite (top face), and Yellow Obsidian (end stone). Everything is held in place with hand soldered copper. 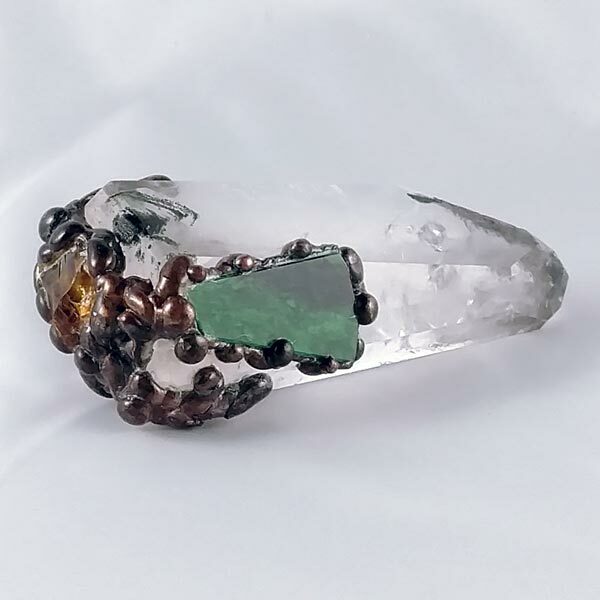 Size: 4" long and 1-3/4" diameter at its base. Fills the aura, Chakras and aura bodies with light, heals the etheric and emotional bodies. 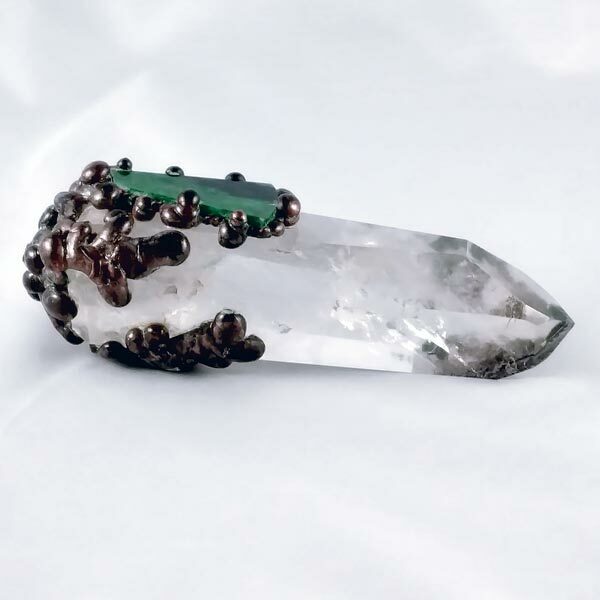 Clears negativity at all levels, protects from negative energy and detoxifies the aura. Promotes and intensifies spiritual expansion, awareness and enlightenment. Aids emotional stability, helps all physical and emotional diseases, speeds healing and brings goodness to every level. 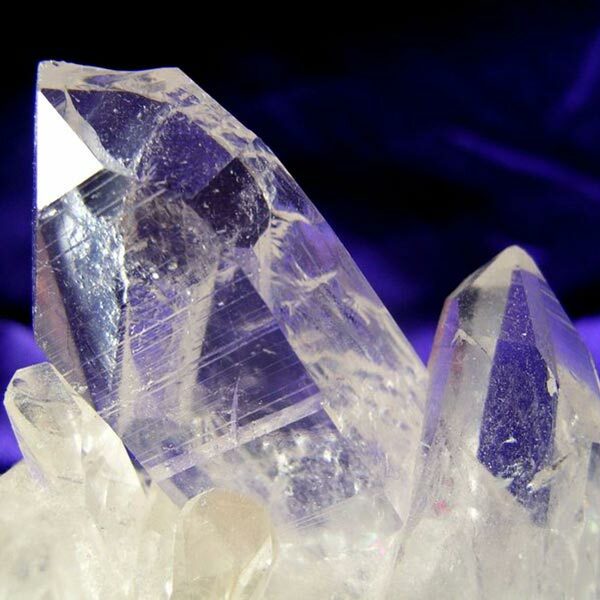 If you ever lack a good gem choice, Quartz is the one that can actually be used at any Chakra.